The holidays can be a time of happiness for some but also a time of stress and sadness for those of us coping with mental illness. Sometimes it feels impossible to feel thankful at Thanksgiving. 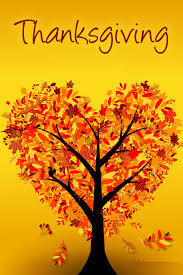 Here are a few tips to cope with the Thanksgiving holiday this year. If you are struggling with the holidays, you are not alone. Recently we heard the tragic news of KC native and fashion designer, Kate Spade. She was believed to have lived with bipolar disorder and is noted to have sought help numerous times. It is not known that this is the reason of her suicide. According to the CDC there are many factors other than mental health that contribute to suicide including relationship problems, substance abuse, crisis, physical health problem, loss of housing, and job/financial problems. As suicide rates are on the rise, it is important that we raise our level of knowledge and understanding of suicide as well. This will help promote suicide prevention. It’s Spring now, why am I not happy? For more explanations be sure to check out the link above. She also has an article on how rainy weather, like we have had in KC for some time now, can affect depression. In this article she links to some interesting studies relating weather and mood. 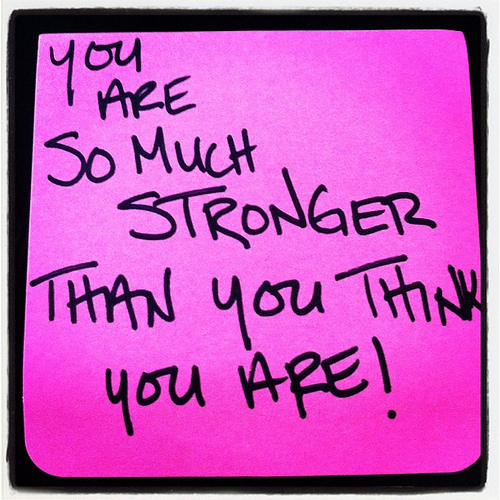 So, if you just aren’t feeling it yet this month – you are not alone! To be the best you for others, you also have to be the best you for yourself. Many of us put other’s needs before our own, but in the long run the stress of doing so takes it toll on everyone. 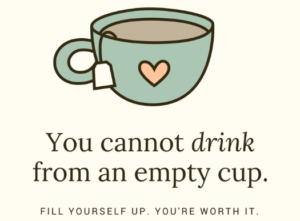 Sometimes the thought of adding self care seems stressful all in it’s own. We struggle to come up with ideas that don’t require getting something special or spending money. Here is a list of ideas that I have used to take away some of the stress. I have recently added #10 to my daily care routine. Not perfectly by any means, but enough to feel a little more put together. I was amazed at how much it helped. If we think of wellness as a journey, we’ll need three things to get started. What is my wellness goal? What’s the best route to take? What steps do I need to take to reach my goal? Do I drive or fly? What is my strategy for reaching my goal? Have a better relationship with my partner. I need to improve communication and spend more quality time with my partner. Write down thoughts before discussing an important topic. Schedule time to have fun together. Question 1: What is something you do to stay well? Question 2: How does that help you reach your wellness goal? Even though we come from different backgrounds, have different experiences, and face different challenges, we also have many things in common. The definition of wellness is different for everyone, but as we think about what wellness is, we can fit our definitions into a few broad categories, e.g., physical health, relationships, self-esteem, self-improvement, financial security, career, etc. Likewise, many people use similar strategies to accomplish their goals. These may include journaling, exercising, getting rest, mediation, and many other strategies. Create your own list of strategies or view a sample of strategies created by our past conference attendees. Examples of Wellness Strategies by past DBSA Conference attendees. Print a blank copy of the Wellness Strategy exercise to create your own. See additional resources on wellness strategies as developed for the 2005 DBSA Conferences. Even being part of England’s Royal family doesn’t make a person immune to emotional distress. 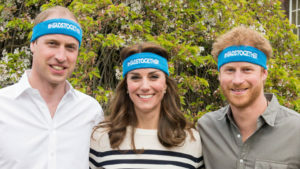 The Duke and Duchess of Cambridge and Prince Harry of Wales are really opening up about all sorts of emotional topics, including new motherhood and the son’s loss of their mother, Princess Diana. The televised discussion is part of the Heads Together campaign to raise awareness and fight the stigma of mental health issues. Their latest video express that it’s #oktosay what’s going on emotionally. Adolescence can be a challenging time for every family, but sometimes the pressures from school, peers, and family dynamics begin to take a significant toll. Anxiety does not always progress to the level of being an anxiety disorder or a situation that needs professional help, but parents certainly want to recognize the signs of distress in their teens and help them to work through their issues. It can be challenging to find the right balance here, but experts have plenty of tips to help make it easier. 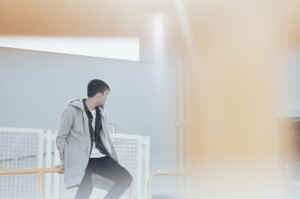 Anxiety can take a serious toll on adolescents, as they are often facing stress at school, in peer relationships, and oftentimes at home or at a workplace as well. Some of the signs of issues, notes the Women’s and Children’s Health Network, include trouble related to concentrating, feeling hopeful, or sleeping, and sometimes physical signs appear as well. When teens are having stomach issues and headaches, or generally feeling sick when stress is present, it may be time to take a step back and work on some coping strategies. Teens will frequently turn to negative self-talk as anxiety escalates, so parents should focus on helping them turn this around to focus on positive self-talk. Relaxation techniques, such as visualization, focused breathing, or deep breathing, can be quite helpful and Adolescent Wellness suggests trying some guided imagery exercises. For example, an anxious teen can work to imaging a relaxing scene and then try to add details covering all of the senses. The teen would then pick a phrase or word that will help them recall that scene, and after some practice, using that word or phrase can help calm them down during times of stress. Kids Health notes that when an adolescent is struggling with anxiety it is important to focus on getting exercise, quality sleep, and proper nutrition. Teens may lose sight of these basics, so this is where parents can have a significant impact. Of course, it can be challenging to do this in a way that seems supportive rather than overbearing. Making an effort to connect with your anxious adolescent is important during these difficult times, even though they may be inclined to withdraw and isolate themselves when their stress levels are high. As Help Guide points out, when it comes to stress, anxiety, or depression in teens, it’s important not to ignore the issues. Begin a dialogue with your adolescent and be open to listening to what they have to say without judgment or being dismissive. Be careful not to come off as patronizing and acknowledge their feelings as you work on truly listening. Teens may resist opening up about these issues, but parents need to trust their instincts and be gently persistent in trying to connect during difficult times. Parents should not be afraid to connect with a therapist if their child is continuing to struggle. Anxiety can have a serious impact on an adolescent’s daily life and the family’s dynamics, and when this is the case, a professional can help shift things back on track again. If you aren’t sure if it’s time for a professional’s insight, connect with a therapist and get the ball rolling, as they will get the basics on the situation and share their insight regarding what should happen next. Teen anxiety can become quite overwhelming and many adolescents have a difficult time working through their stress on their own. Whether the issues are related to family, friends, or academics, parents can try to connect with their child to open up a dialogue and help them learn some relaxation techniques that can alleviate some of the anxiety. Sometimes consulting a professional is useful as well and while it can take some serious work to help a teen work through their anxiety issues, some simple coping strategies can have a significant impact and ease the stress on everybody involved. 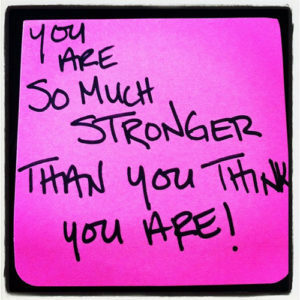 Bipolar often comes with a side of negative stigma, sometimes super-sized, even though we don’t ask for it. 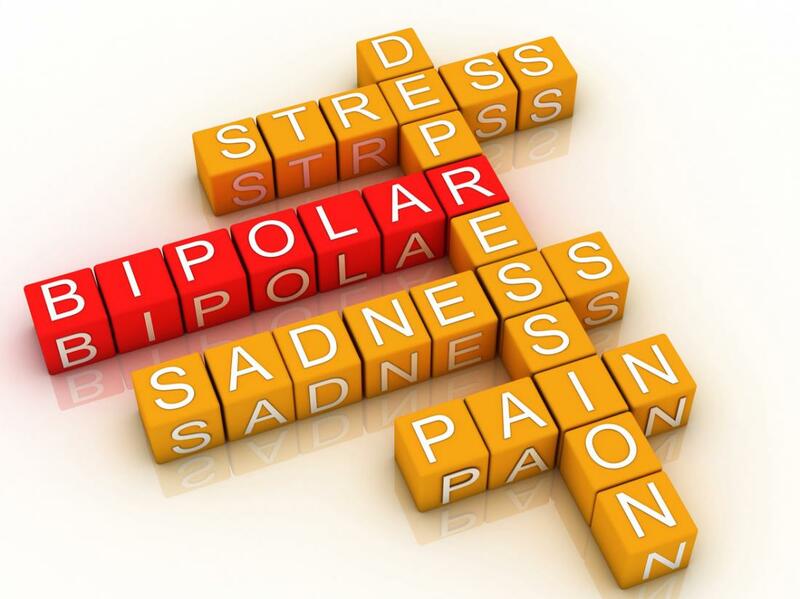 Many times that negativity comes directly from within, but have you stopped to think about what’s good about bipolar? Matthew Schmitz did in his article The Amazing Side of Bipolar Disorder. We often over look and under value our own capacity for good simply because of a diagnosis. When you get [in that mental state], it’s hard to talk. You are reaching out from such a far away place. What do you say? You don’t want to be a burden and you don’t want to seem like you feel sorry for yourself – it’s humiliating among so many other things. This encouraging quote and others can be found in the article 13 Things Carrie Fisher Said About Living With Mental Illness. To many people, Carrie Fisher was known only as Princess Leia. To Hannah Jane Parkinson, she was a role model and personal hero. Parkinson first saw Fisher in the documentary The Secret Life of the Manic Depressive which you can watch on YouTube. To Jennifer Marshall, Fisher’s openness inspired her to “come out” with her mental illness. 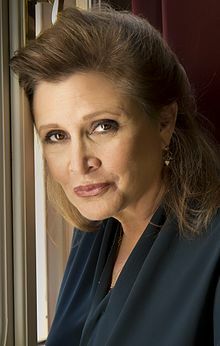 For me personally, learning about Carrie Fisher’s life with mental illness is a comfort and reminder that, though we’ll have good and bad days, we can live well with mental illness. To Give a Custom Amount, enter what you want to give then click the donate button. Please arrive at 6:45pm to check in as our meetings begin promptly at 7pm. We meet in Building B, Room B210. The room is on the 2nd floor of Building B. Park in lot B. Enter Building B through the South Entrance then look for the KidsCOR entrance on your left near the cafe. After entering the KidsCOR area, go up the stairs or take the elevator to the 2nd floor On the 2nd floor, follow signs to to Room B210. If you have further questions, please contact info@dbsaop.org or 913-730-0042. 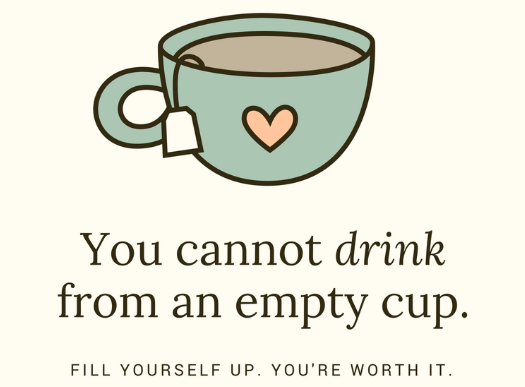 Our support groups are open to anyone with a mood disorder as well as anyone with a loved one who lives with the challenge of a mental illness. Our meetings are a place to regain confidence, find emotional support for you or your loved ones, and be among people who understand. You’re welcome to participate and share, or just listen. We offer an accepting environment to support you and your family in your desire for health and wellness. Donations are accepted and appreciated to help cover national dues, literature, community outreach and operating costs. No need to register in advance, however space is limited. If this is your first time attending a support group we recommend you arrive early to find the room. Feel free to contact DBSA Overland Park at info@dbsaop.org or 913-730-0042 for more information. Is the gig economy for you?